The bulk of our patients tend to fall into this category and we provide a comprehensive range of treatments to care for them. We perform a lot of general restorative dentistry, this includes fillings, crowns, bridges, inlays and onlays. We do a considerable amount of teeth whitening and cosmetic treatments ranging from micro-abrasion to porcelain veneers, including crowns or bondings, and cosmetic fillings to replace old failed or stained restorations. If you (or your child) are playing contact sports, then we can provide custom-fit professional mouth-guards. More complicated cases may require our specialists, but we like to treat the vast majority of patients in-house which proves a lot kinder on your pockets. We treat gum disease, tooth wear, grinding, dental decay, halitosis or bad breath, abscesses and a number of other dental conditions. 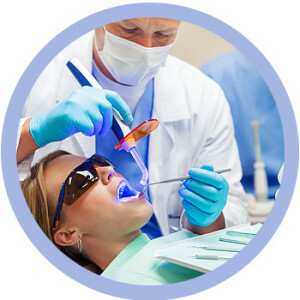 We are huge believers in prevention and this starts from your very first visit where you will receive advice: how to brush, floss, if extra fluoride is necessary, how to use pixters- if this is required, how we can protect your teeth if you are grinding, or if you have a problem with snoring or sleep apnea. A lot of dentists have been accused of over prescribing. We show you exactly what needs to be done and discuss with you the options and possible scenarios: what if you do nothing? What if you do ‘X’ or ‘Y’- that sort of thing. We adapt a ‘watch and wait’ policy where it is appropriate, and we like to begin with the simplest treatments- before, if necessary progressing to the more complex.